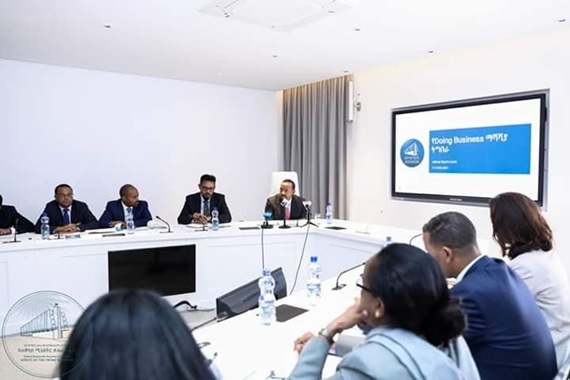 Prime Minister Abiy Ahmed launched a national initiative to improve Ethiopia’s investment climate. The Initiative is an integral part of Ethiopia’s Action Plan for Jobs. It will make Ethiopia a competitive place to start and grow businesses. The National Initiative identifies over 80 distinct actions to be delivered across 10 government agencies. With clear direction from the PM, the reform measures will be monitored by the Policy and Performance Unit of the PMO and coordinated by the Ethiopian Investment Commission.